Medeo & Chimbulak are Almaty’s playgrounds in the foothills of the Zailiysky Alatau, both easily visited on a day trip from the city. Medeo is a world known scattering of buildings around the huge Medeo ice ring, 1700 meters high about 15 km southeast of central Almaty. Shymbulak at 2300 meters is one of Central Asia’s top skiing centers. Medeo is always several degrees cooler than Almaty, and Shymbulaq cooler again. The Medeo skating ring is made for speed skating, which normally functions from about October to May. 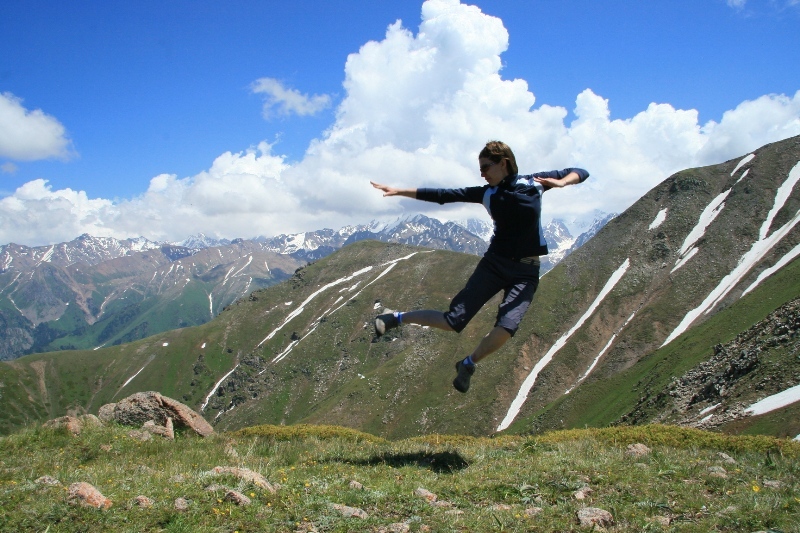 Itinerary: Transfer Almaty – Medeo (H-1690) – Chimbulak (H2230) (25 km). Ascent by ski-lift to Big Talgarsky pass (H-3163). Hiking to Chimbulachka peak (H-3600) (1 hour). Pocket lunch. Back to Big Talgarsky pass. Descent to Chimbulak by ski-lift. Transfer to Almaty. On the way walking at Medeo and Chimbulak.